Our feet are two of the most abused and often used parts of the body, what with all the walking and running that we do everyday. Yet when it comes to our health and beauty routines, feet and toenails often get neglected. No matter what the season is, it is always important to keep our feet and toenails in tip-top condition. Learn how to care for your feet and toenails by having regular visits to your Podiatrist, who will treat them to heal soreness and callouses and provide medical attention when necessary. Every 4-6 weeks, your toenails need cutting to keep them healthy and strong. 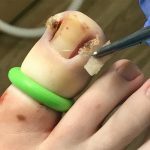 Trimming them the wrong way results in ingrown toenails, which can be quite painful. They should be cut straight across, rather than trimming the edges into a curve. 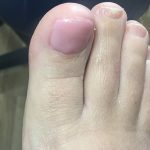 You should also avoid trimming them too short, since this could result in ingrown toenails or an infection.